Michelle da Costa Gomez has a background in biology and worked for over 10 years in environmental education. 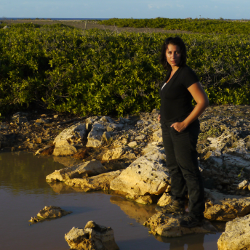 In may 2011 she decided to end a 6 year wildlife conservation responsibility as manager of the Christoffelpark on Curacao. Her new challenge in life is assisting small companies and NGOs with setting up their communication and education strategies, through her new company: Curassavica. Born on Curacao, an absence from the Island to study of only 4 years proves her attachment to this special piece of oceanic rock. Meet her on Facebook and LinkedIn!